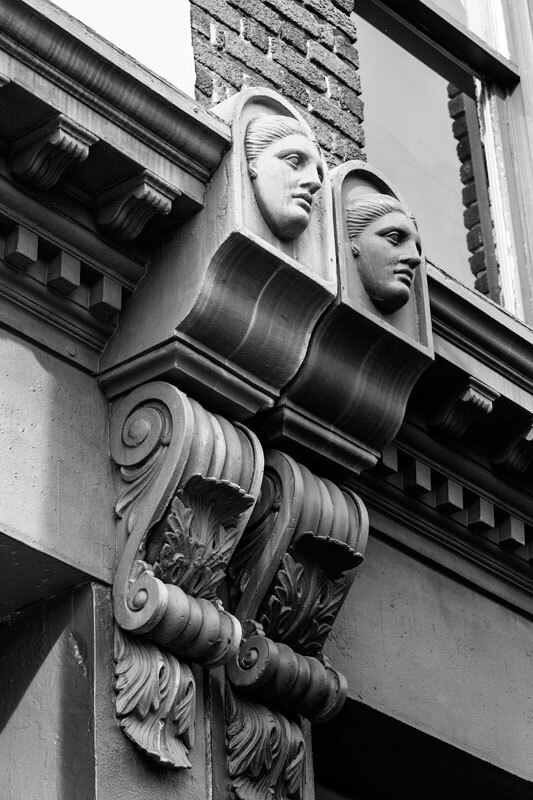 I call this photograph “The Ladies of Meeting Street.” It portrays classically-influenced female faces on the architectural details of a historic commercial building on a bustling stretch of Meeting Street. 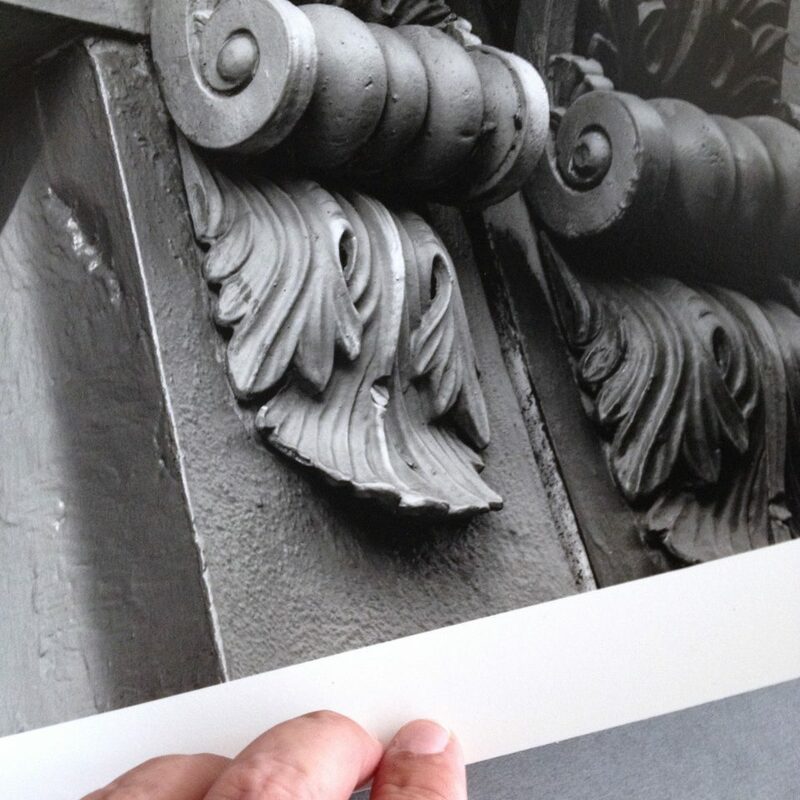 The print is a museum-quality wet-processed silver gelatin on fiber paper with a baryta surface. This is my premium print offering. The beautiful framing was done by Blue Door Framing in Nashville, Tennessee. 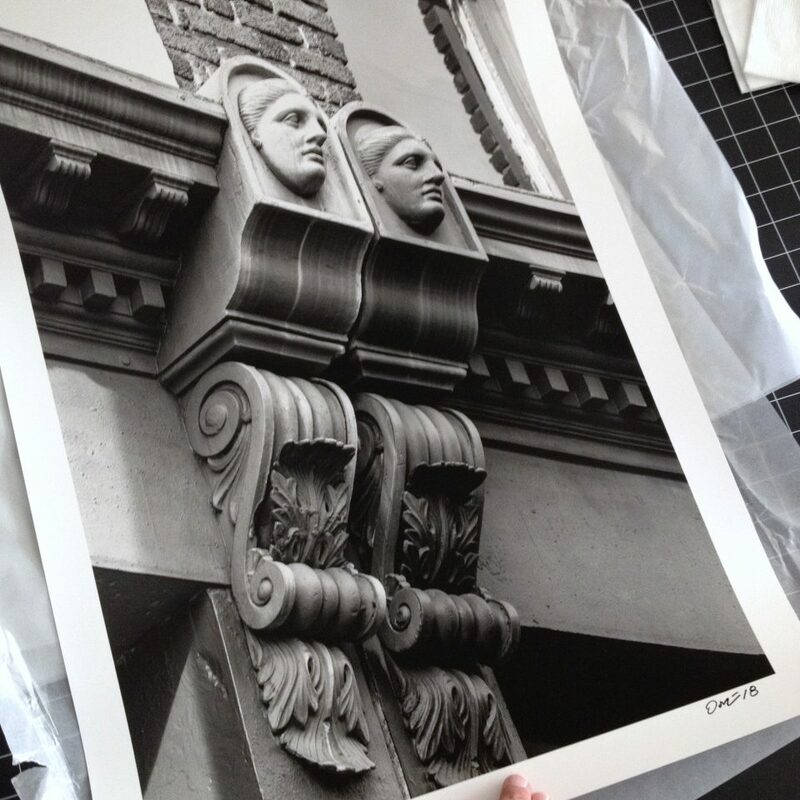 The Ladies of Meeting Street, a black and white photograph by Keith Dotson. 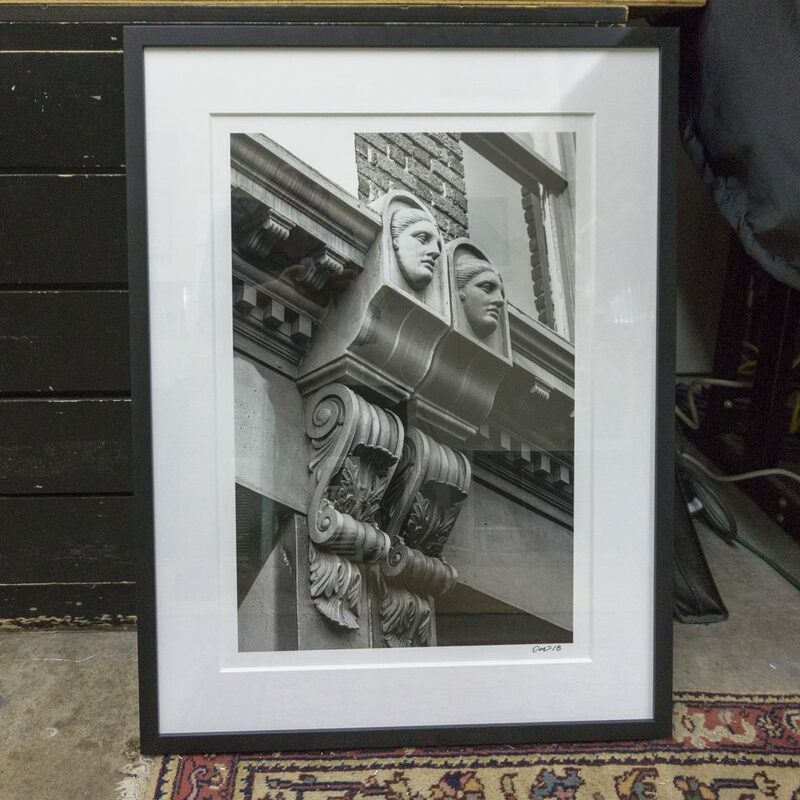 The framing is done with a classic black gallery frame and double-thick 8-ply mat. Click here to go to my secure e-commerce site and buy a fine art print of this photograph.